The NAMM 2019 is close, and as usual, there will find the newest and most innovative products dedicated to musicians, composers, producers, engineers and so on. We have created a list of products that have attracted our attention, both software and hardware. So let’s see what the most important players in the industry have prepared for us in the next period. Bitwig Studio DAW becomes fully modular in version 3. The Grid, also known as the “digital frontier”, describes in the film Tron an “experimental platform on which all kinds of research can be conducted at unprecedented speed”. And the same applies to audio and MIDI in the DAW of your trust. The Grid is an open modular environment that is integrated into three new devices: Poly Grid, Mono Grid, and FX Grid. While all Grid devices work the same way, each device has different configurations. Poly Grid, for example, serves as the starting point for a polyphonic synth. The planned release of Bitiwg 3 is scheduled for the second quarter of 2019. 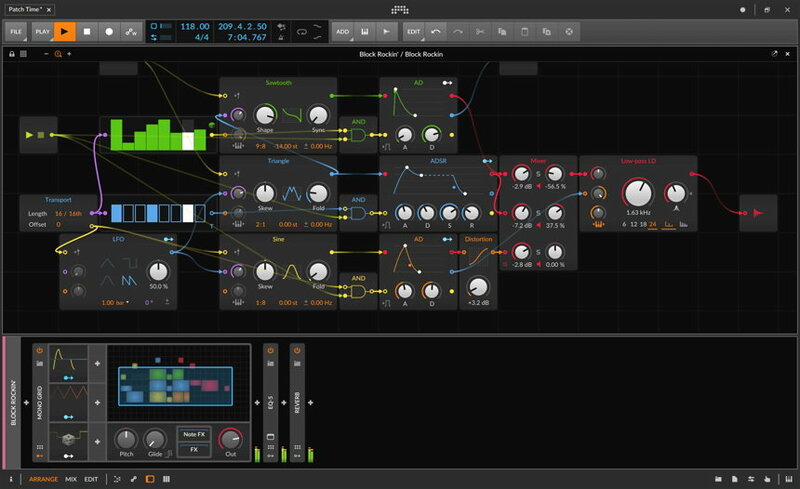 Phase Plant is a virtual modular synthesizer whose hybrid design and support of home Snapins effects make it a particularly versatile synth but easy to use since everything will be done from a single window. The instrument is based on the large software systems of the developer, including the Multipass with improved modulation functions. Phase Plant is expected in the spring but visitors to NAMM 2019 will be able to get a first look at it next week. The instrument for Mac and Windows will be priced at 169 €, a Toolbox Starter edition adding five additional Snapins (Compressor, Distortion, Filter, Phaser, and Reverb) will be sold 199 €. Music equipment maker Akai Professional announced the release of the Force USB / MIDI controller. The device has a built-in step sequencer, sampler, synthesizer modules and allows you to work with sound completely autonomously. Akai Force is equipped with a matrix of 64 RGB pads, a color multi-touch display, 8 knobs with endless scrolling and OLED displays, a fader, a rotary encoder, a master volume control, and a set of function buttons. 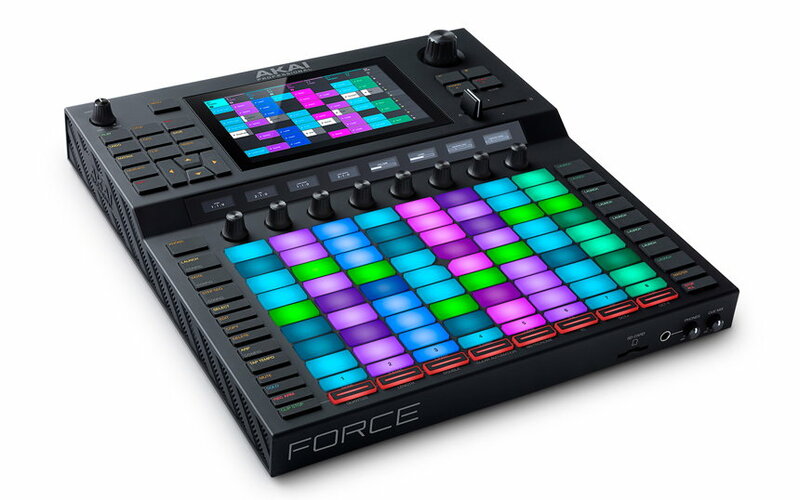 The Akai Professional Force is expected in the first quarter of 2019 priced at almost 1500 EUR. Pretty expensive, do not you think? 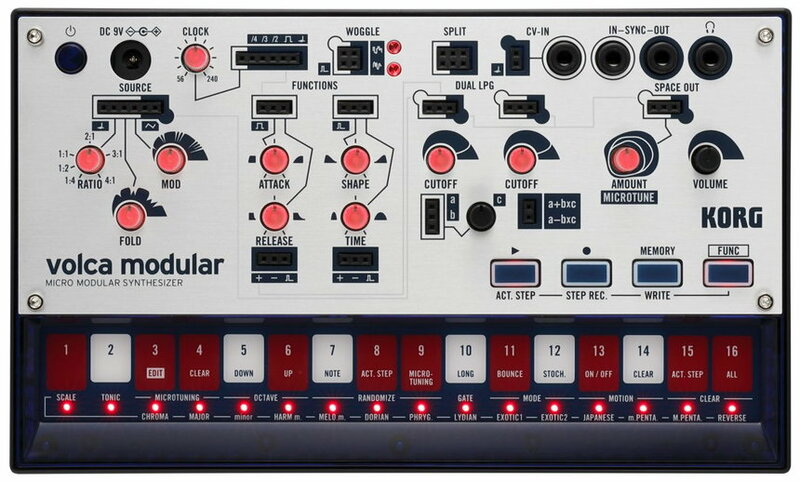 The new Volca Modular is a semi-modular built-in analog synthesizer, which consists of eight independent synthesizer modules and offers a sound synthesis in the currently increasingly popular West Coast style. A total of 50 patch points are available. The inputs and outputs are color-coded and the signals are marked with symbols so that one can immediately distinguish between audio, control, gate or trigger signals and much more cool features. The Volca Drum will be available from March 2019 and is expected to cost 169 EUR. Korg brings with Volca Drum a Rhythm Machine, which complements the Volca series with a completely different sound character. The Volca Drum Digital Percussion Synthesizer. offers a flexible structure with 6 parts (2 layers each) with a variety of possibilities to create your own drum and percussion sounds. For each layer, you can choose from 5 waveform types, such as sine, sawtooth and HPF noise, as well as a 3-pitch modulator and amp EG types, each optimized for drum sounds. Features such as bit reduction, wave folder depth, overdrive control, and last but not least the Waveguide Resonator (Physical Modeling) create new sounds with a sound engine whose structure is very different from a typical drum machine. 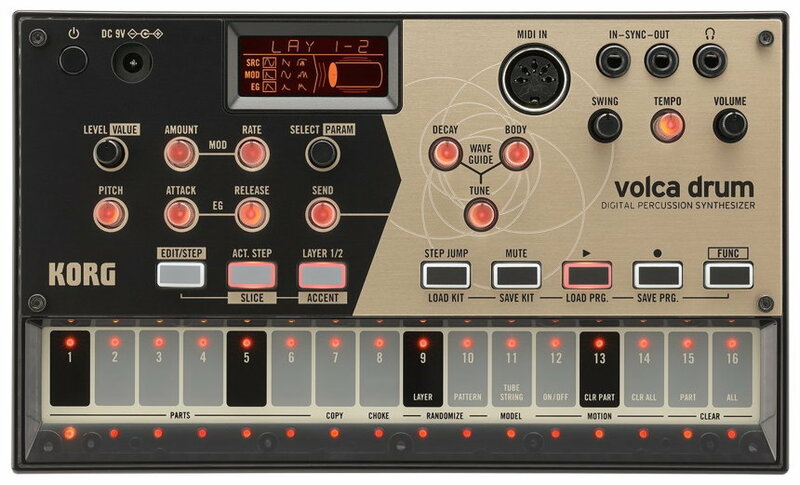 The Volca Drum will be available from March 2019 and is expected to cost 169 Euro. 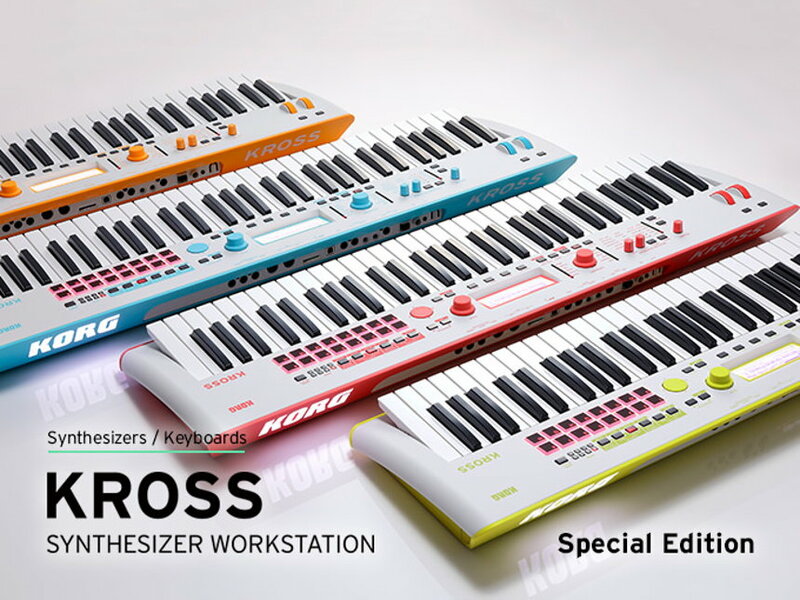 Korg presents the 61-key version of the small and easy portable Kross-Synthesizer in four new neon colors for the upcoming NAMM-Show. This is a special edition that is now available in the neon color variations of green, orange, red and blue. In addition, the special edition is equipped with an additional PCM memory, which offers high-quality piano, e-piano, synth and drum sounds, which are specially tailored to the needs of EDM producers. The technical features are similar to the Kross standard model and thus offer a wide range of useful features, such as a polyphonic arpeggiator, a 16-track sequencer, a clear legible LC display and a convenient effects section, just to name a few highlights. Available are the four variants of the Special Edition from March 2019 at a suggested retail price of 799 Euro. We will continue to update the list as new products are announced at NAMM 2019, so stay close and check the page in the coming days. Which of these products attracted your attention the most? What other new products do you expect? Leave a comment below. 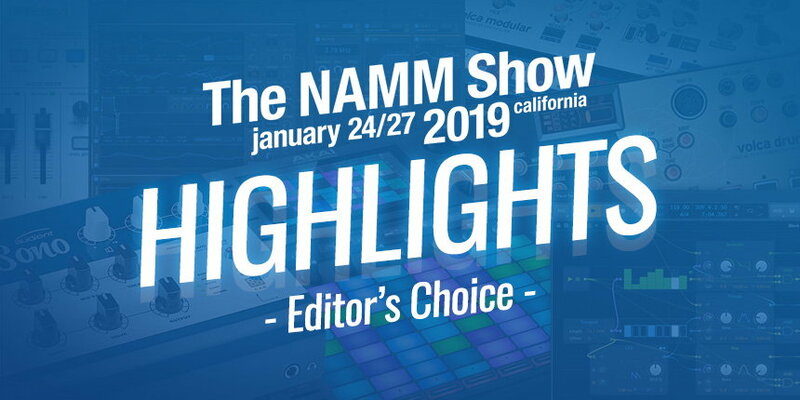 The post NAMM 2019: New Products and Highlights – Editor’s Choice appeared first on ProducerSpot.